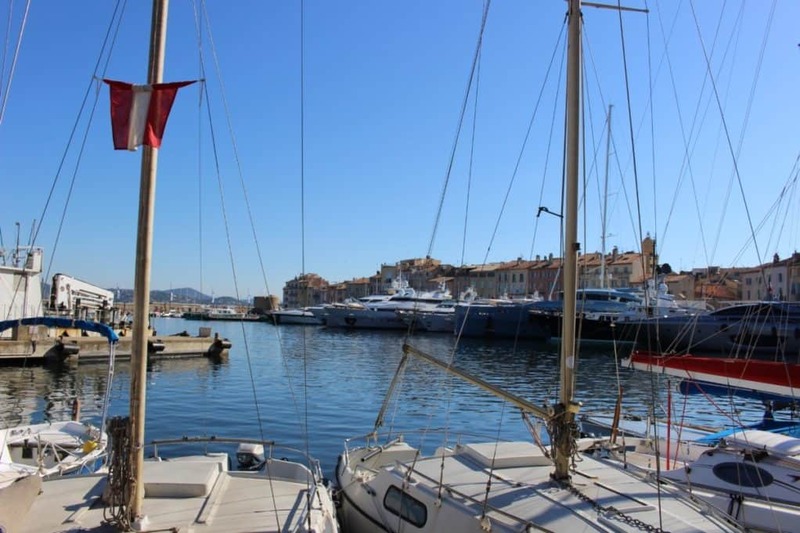 Well, Saint Tropez is a fabulous place to visit! BUT, nightmarishly busy in summer. Personally, I would not go there in July and August. I love to visit Spring and Autumn. Here are 5 of my favourite things to do and I hope you enjoy them. 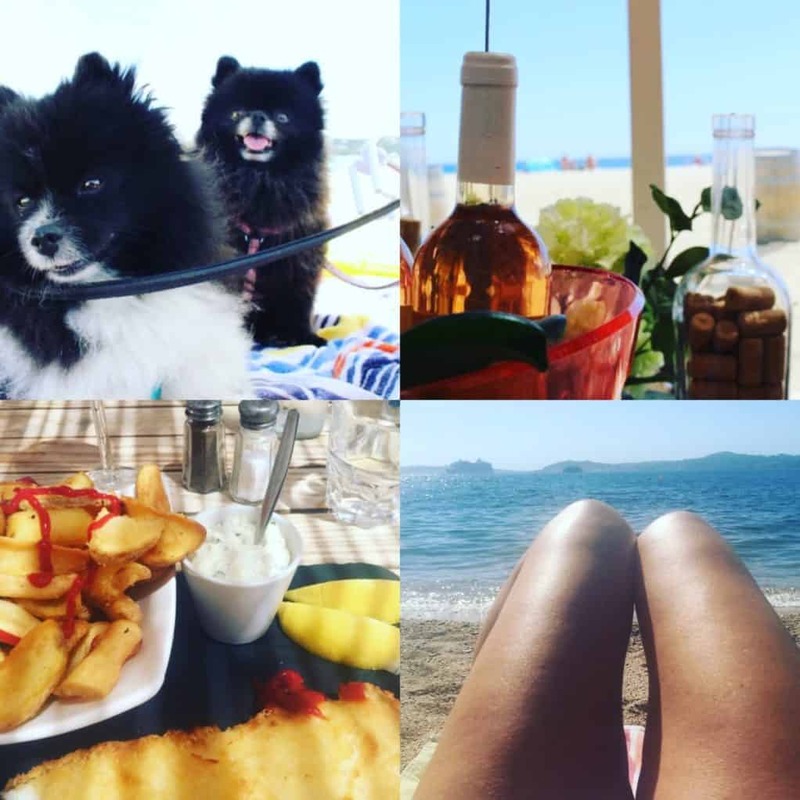 My Saint Tropez 5 top tips. Saint Tropez 5 top tips. 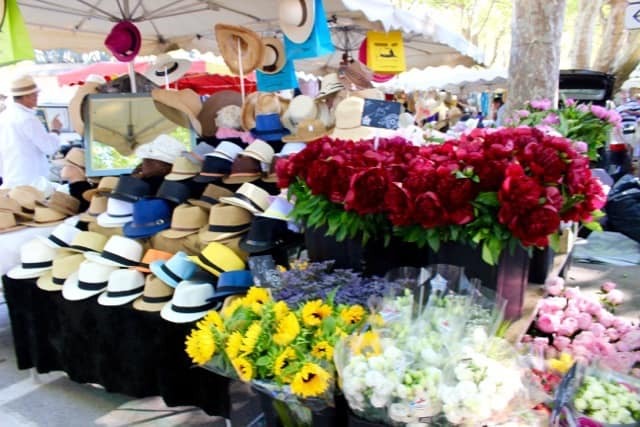 Who doesn’t love a weekly market right? It is always fun to browse around this eclectic mix. Some stall holders have been at the market for many a long year and are great characters. I know, you will find a lot of the usual tourist tat but there are some gems here. You will like to buy the local fresh fruit and vegetable in season. 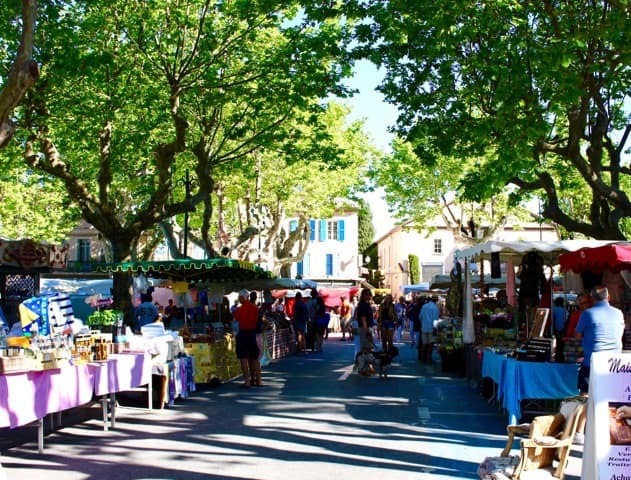 The Cherry season is always a special treat, plus local wines, olives and Provencal goodies. How about a hat to keep the sun off? My top tip is to get there early! 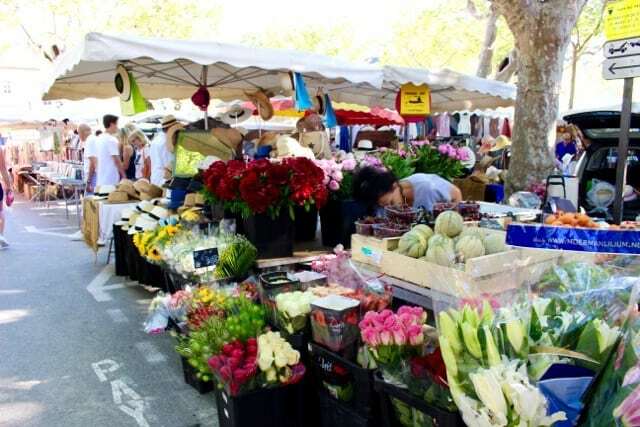 Arrive and have a coffee and breakfast and then browse the market. 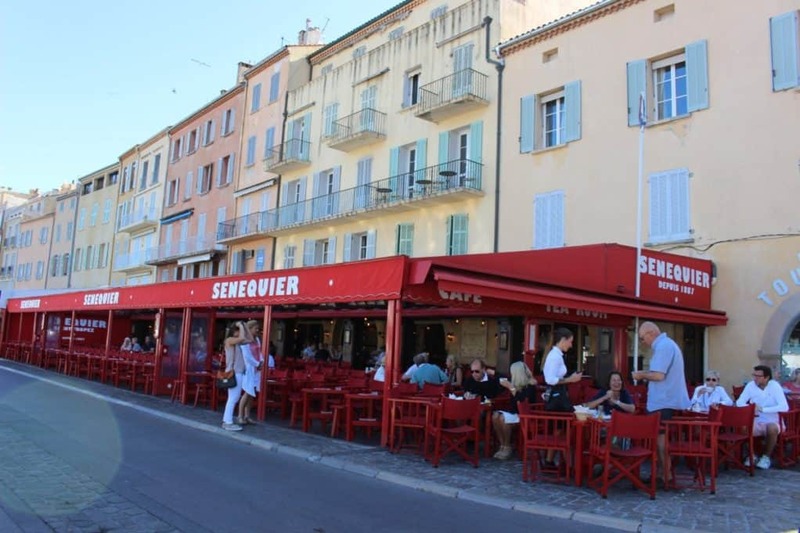 Top Tip 2: Then I like to have breakfast at Senequier on the port and then head to the market. Yes, I know! It is outrageously expensive ….. but it is an occasional treat. It is always buzzing and has some good things to eat and drink. My favourite is a Piscine, 15 euros but HUGE. Look out for this on the left as you drive into Saint Tropez, by the roundabout. 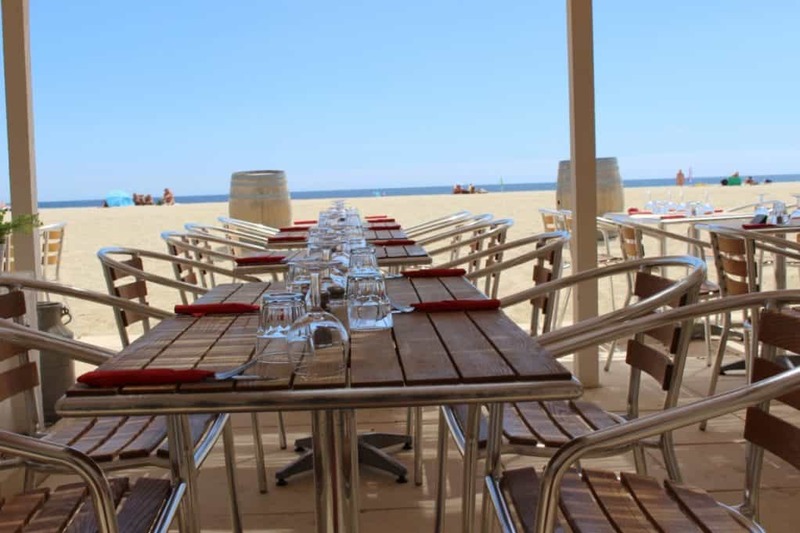 A lovely spot for lunch on the most perfect beach with great views and good food. A laid back and chilled out atmosphere just makes it a memorable lunch. There is a great beach here too. I love this cute little beach restaurant, the people who run it a very friendly too! It is slap bang on the naturist beach, which is my favourite beach needless to say. However, you will find everything here, you can take your dogs, and there are plenty of people wearing swimwear too. Gorgeous beach, laid back vibe and decent food. What is not to like? Give it a try and tell me if you don’t prefer it to spending absurd amounts of money with a load of wannabes on Nikki Beach. Enjoying the beach life. 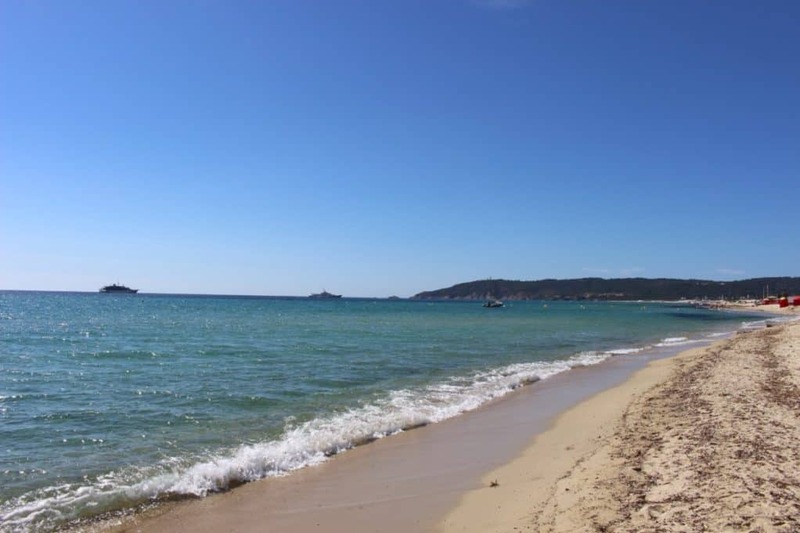 Yes, this is a naturist stretch of Ramamtuelle beach, but not everyone takes their kit off! I love a glass, or two or …. well, maybe three! 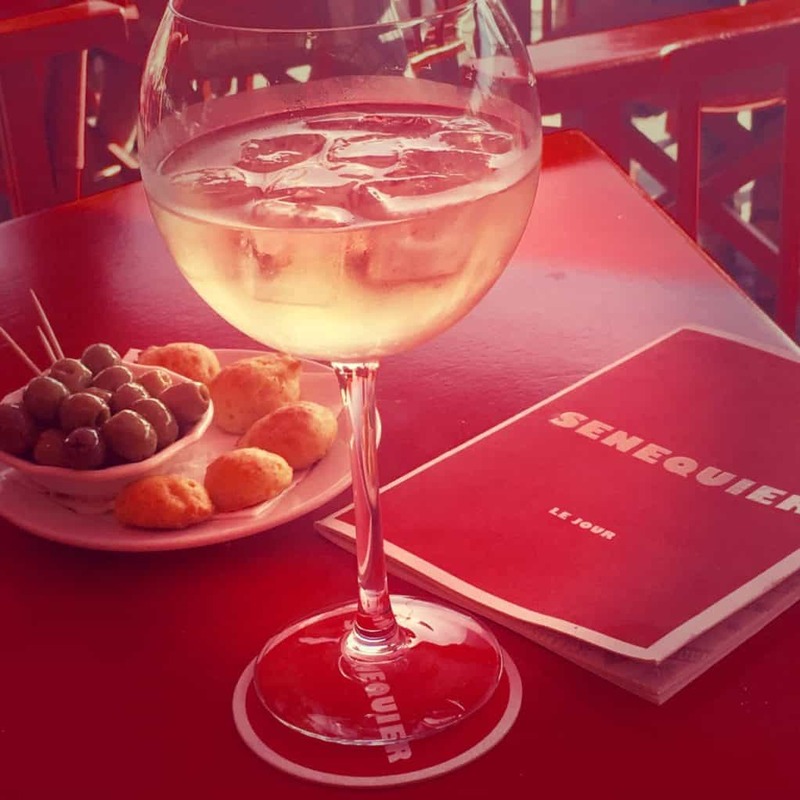 Chilled Provencal Rose wine, particularly served as a Piscine is heavenly. Here, you can go on a little wine tasting tour and sample and buy a case or two. My favourite tour is to continue on the road to the little village or Ramatuelle, after you leave the Pampellone beaches. Basically turn left instead of turning right back to Saint Tropez. 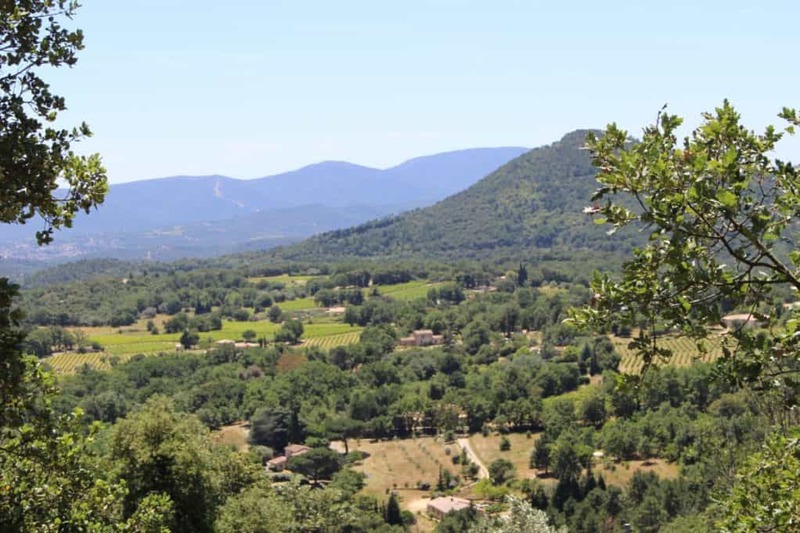 You could stop off for a little look around the village and then continue along the road and stop off at the wineries en route. There are several and all are well sign posted, including the famous Minuty vineyard. So there you have my Saint Tropez 5 top tips. Let me know if you have any new discoveries. Previous Post Morocco Road Trip – Drive yourself!